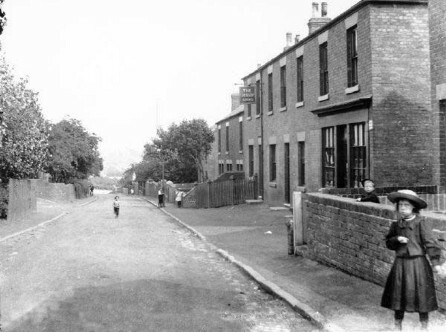 Jessop Street is named after William Jessop (the younger) who together with his brother George Jessop and another partner William Needham formed the Ironville Benefit Building Society, a group tasked with satisfying the chronic shortage of housing for the rapidly increasing population streaming into the area to work in the Butterley Company collieries and Iron Works. The Society reached an agreement with local landowner Theadore Hicking to provide building plots on the Codnor Common Land. The Ironville Freehold Land Society was created and a plan was drawn up in 1854 showing the new estate, which was scheduled to be called Codnor Ville. 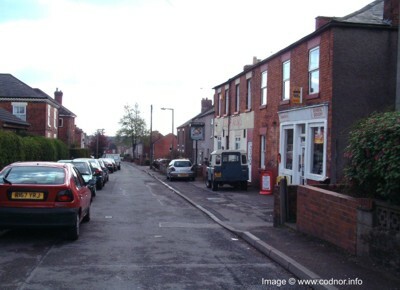 Three new streets would be created and named after the Butterley Company directors; Wright Street, Needham Street and Jessop Street. Details of the plan can be seen on the Wright Street page. 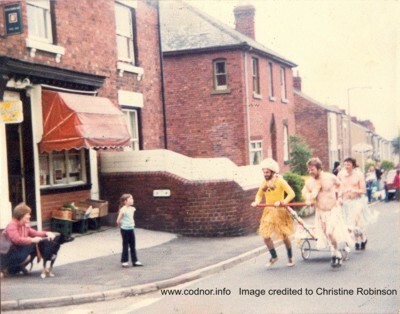 Fig.5 Possibly Codnor carnival event early 1980s just passing the shop on the corner of Jessop Street and Wright Street, now a private residence. 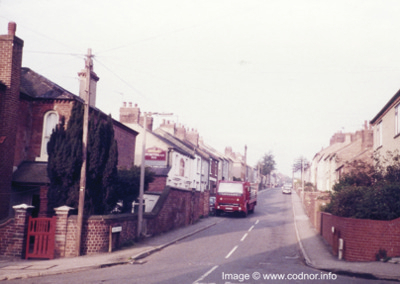 The Jessop Arms is located half way up Jessop Street opposite the junction to Wright Street. 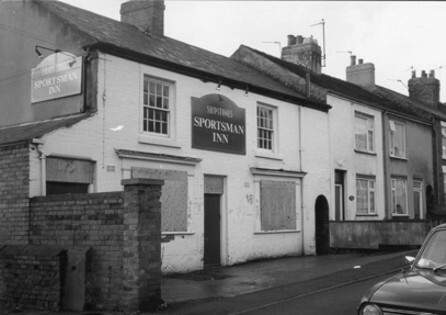 The Jessop Arms is recorded in “My Village” (by Joseph Millot Severn) as having its own brewery. 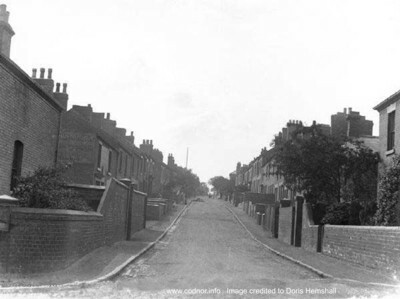 He also remembers it being kept by Mr & Mrs Edward Farnsworth who’s son, Samual also owned the shop next door. 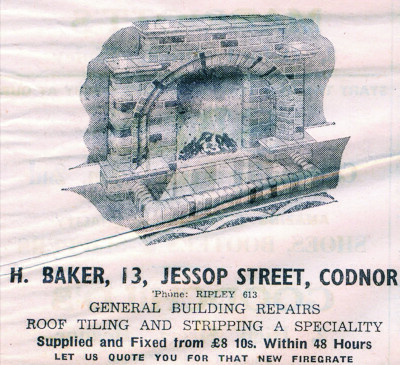 Samuel later kept the Jessop’s after the death of his parents.